I'm back, all alone once more. So yeah, could really use some help; translators, editors (typesetter & cleaner), typesetter, and cleaners needed. For any of you who are trying to access the forum, that has been shut down for ages now. All of our downloads can be found here, on this site. You can have early access to releases via discord. Click here to join! Since I'm just getting back on my feet, it may take a week or two to get the next chapter out, sorry for that. I'll try and get everything taken care of ASAP. At the moment, I'm bouncing from my house to my in-laws. Long story =_= Well, hope you all will stick through this with me! Just a quick note for you guys. We are still recruiting, and I really need Japanese to English translators. You don't have to be fluent, that's what quality checking is for! Also, I have a couple volumes of Haigakura on their way, so look forward to that! I'll force myself to finish up this latest chapter tomorrow, it's my next day off. See ya next update! Welcome back to blogspot because...well I've had fun with the forum but no one posted SO yeah. There's a blurb in the latest chapter that you can read for more updates. Tbh you all know I'm never really much of a poster...So yeah chapter 29 of Haigakura is up! ENJOY! 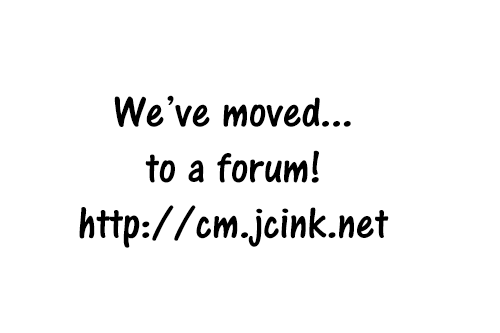 Click here to follow us to the forum!